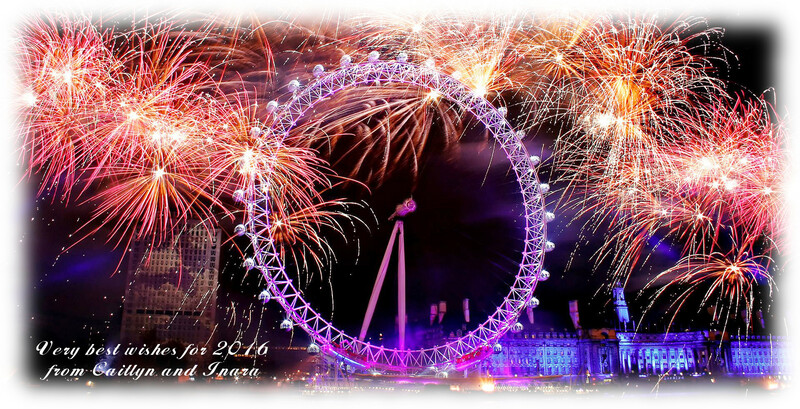 May 2016 bring you every happiness, and be a year of peace and prosperity for us all. My thanks again to everyone for your support throughout the year. Madalynn Rose recently contacted me about Bellisimo Gallery at Vivara, which offers free space to artists on a month basis. Currently on display are pieces by Ryanna Foxclaw, Broderick Logan, Wheelerwood Oppewall, Addison Summerwind, Astrid Zhangsun and Indieskies Almodovar, who provides a series of 3D pieces. There doesn’t appear to be a set theme to the exhibition, but given the greater proportion of the images feature avatars, one might consider it something of an avatar study, even allowing for the landscapes, 3D work and images from the physical world which mark this as quite an eclectic exhibition. On entering the gallery, I found my eyes immediately drawn to the artwork of Addison Summerwind (topmost images), who presents a series of very evocative images covering a range of themes: portraits, fantasy, sensual … each one with a story to tell, and each one instantly captivating. Among these are six landscape images, smaller in size to the avatar studies, but no less appealing. A thread of a theme connects Addison’s display with that of Broderick Logan, and given the current blockbuster movie on release world-wide, it’s in some ways quite topical: in the midst of Addision’s pieces sits Sith, whilst within Broderick’s sits the opposite side of the coin – Jedi. Broerdrick’s display area is shared with the work of Rynna Foxclaw (immediately above). Again, both artists present an intense series of avatar studies in which sit single landscape pieces to offer contrast. Addison Summerwind also shares a link with Wheelerwood Oppewall through the Obsession Exposed Studio and gallery. Wheelerwood also offers up a series of avatar studies, striking in both style and finish, both Skip and Hania capturing my attention, constantly drawing me back to them as I wandered the gallery. Astrid Zhangsun presents something entirely different: a set of photographs from the physical world, which make a striking contract to the studies of the other artists, while Indieskies Almodovar, as noted, provides a series of 3D pieces together with two paintings. As noted, this is something of an eclectic exhibit in some respects, albeit it with some very compelling images which will remain on display through until January 8th, 2016. 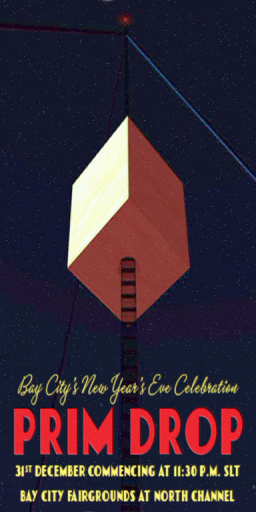 Thursday, December 31st 2015 will once again see a great Second Life tradition take place, with the Bay City “prim drop” set to mark the start of a new year. Festivities will be kicking-off a 23:30 SLT at the Bay City Fairgrounds in North Channel. Marianne McCann will be providing the music and fireworks, and food and drink will be provided. The theme for the event is a wintertime soirée; black tie attire is recommended, and all SL residents are invited to attend. This will also be the final opportunity in 2015 to donate to Child’s Play Charity, a US 501c3 non profit organisation offers on-line communities such as Second Life an opportunity to help seriously ill children around the globe during their hospital stays with the purchase of games and gaming equipment. As of December 24th, Bay City had raised L$122,189 for the charity through a series of events, including the annual silent auction and tree lighting concert, a Christmas tree sale, and other events. Hopefully, the Prim Drop will see this figure increase still further! The 2016 Second Life Home and Garden Expo has been announced and will run from 14th February through to 6th March 2016. 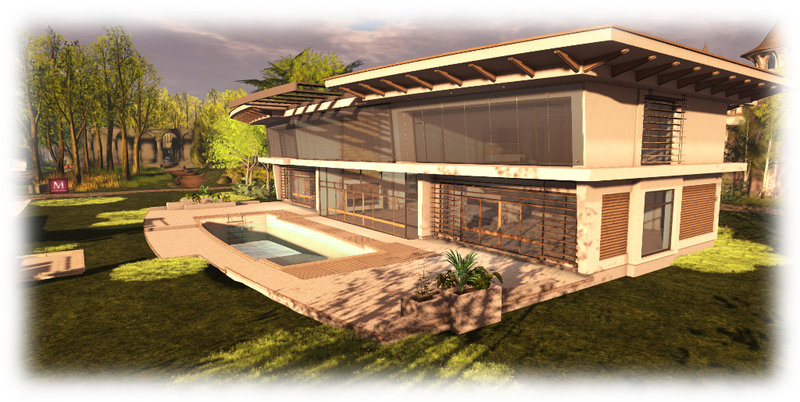 Spanning nine regions, the Expo will feature the very best in home and garden design, furnishing and decor, all to help raise money for Relay For Life of Second Life (RFL of SL). In particular, 2016 will see the Expo under new management and featuring a fresh new experience: The Festival of Hope, together with an art exhibition and gachas, as well as the Expo hunt. Those willing to be exhibitors at the expo are asked to offer two items for sale with 100% of proceeds being donated directly to RFL of SL. These must new items, and offered exclusively to visitors to the Expo for the duration of the event. The art exhibition will be split into 3 groups, with artists in each group exhibiting for a period of one week. During this time, they must offer one item for sale with 100% of proceeds of sales donated directly to RFL of SL. Gachas are a new opportunity to the Expo this year, and 50% of the proceeds from these will be paid to RFL. One gacha machine is included in all exhibitor packs. A limited number of non-exhibitor gachas will also be available. Those wishing to apply to be either an exhibitor or artist at the 2016 should complete the application form. Full details of exhibitor pricing is available, and all applicant should ensure they have read the notes on intellectual property and the rules and requirements for the Expo. Further details on the event can be obtained through the Home and Garden Expo 2016 website, where blogger registrations will be opening in the near future. In the meantime, press enquiries can be made in-world to Kaerri Rae and /or Reven Rosca. Black Dragon, the v3-style viewer by NiranV Dean updated to version 2.4.4.6 (aka version 4.0.1.36965) on Tuesday, December 29th. The most noticeable change is that several more of the tabs now have a slider to the right, the result of options which had previously been presented in two columns now appearing in a single column. As well as this, some options have been moved around to present a more logical top-down flow, as has previously been seen in the Display option tab, and with radio buttons replaced by combo boxes. The result is a more logical flow, but currently comes at a cost – the aforementioned increase in sliders on the right of some of the tabs. However, and here’s where an assumption on my part comes in – I do wonder if this might only be an interim thing, and whether Niran will be adding expanding sub-tabs, again in the same style as the Display tab – as possibly evidenced by the inclusion of one such sub-tab in the Sound and Media tab. Niran also notes that this release was to have contained the Project Bento avatar skeleton updates, but these have been left out. This is probably a wise decision; Bento is still in formative beta testing, and could be subject to changes throughout the next few months, as such the viewer code (and server-side support) could undergo change. As it is, Bento support is best witnessed on Aditi. This is clearly a tidying-up, rather than a major update. however, it continues Niran’s work in offering a consistent presentation of the UI within his viewer. Also, given that the Lab prefers TPVs do not make significant releases over the holiday period, keeping the updates to UI clean-up is probably no bad thing. And it certainly makes a nice little Christmas present for Black Dragon users.